Fifth in Josh Billings's "Lives of the Translators" series—on God, death, and translation. One morning in October 1536, in the Flemish town of Vilvorde, William Tyndale was led by his guards from his cell to a cross in the public square, to which he was tied at the ankles and waist with chains, and at the neck with a loose hemp cord. Contrary to popular legend, he was not burned alive. 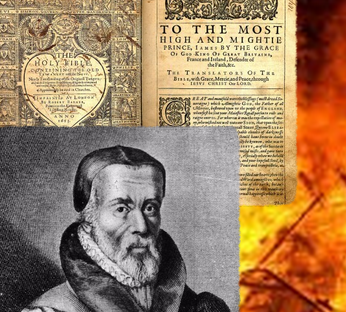 Thieves and beggars were burned alive, women were burned alive, but Tyndale was a scholar and degraded priest: he was afforded the courtesy of being strangled first. When the procurer-general gave the signal, an executioner standing behind the cross pulled the hemp cord tight around Tyndale’s neck until he was dead. Then he lit the pile of brush and gunpowder that had been built up around the cross, and stood back.